Cardo is the peerlessly funky young producer who has provided smoked out soundbeds for a literal Who’s Who of rap’s new generation. After helping craft Wiz Khalifa’s sound on the beloved Kush & OJ and Taylor Allderdice mixtapes, and lacing everyone from Freddie Gibbs to Mac Miller with his signature grooves, Cardo reaches new musical heights on his debut EP, Everything I$ Gold. 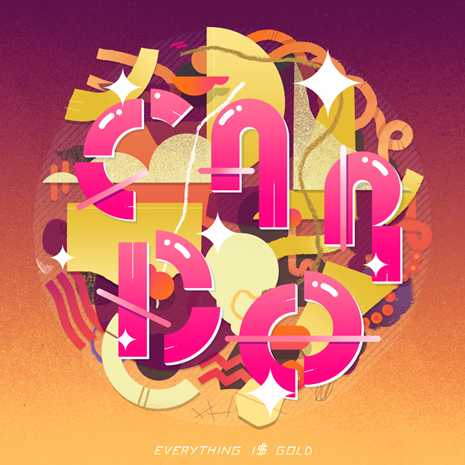 It’s equal parts gangsta soul music, futuristic synthesizer trips, and unstoppable 808 bump, an awesomely region-less hybrid inspired by DJ Quik and Pimp C classics but rightfully belonging to one dude alone… Cardo on the beat! Sleeve by Nick Iluzada.